So, there are TONS of makeup-brush-cleaning posts out there. Posts, tutorials, how-to’s. You name it. It exists. But, I discovered that my brushes needed a DEEP CLEANING. I am not talking a good shampoo. I am talking a PURGE. When I clean my brushes normally, I do it in the morning right after I use them. I see the brushes. The potential for germs freaks me out. And, I have approximately 24 hours before I need to use them again. I grab a dab of my shampoo (let’s be honest, who wants to go buy baby shampoo for this!?) and rub the brush until it is clean. I rinse the brush off, and lay on a dry washcloth until the next day. Simple. I don’t need a hundred steps. But, I have discovered that my current favorite foundation STAINS BIG TIME. This foundation, Revlon 24 Hour ColorStay, STAYS 150 HOURS. It doesn’t budge. This is super great for my face (my makeup is pretty much frozen on), but it is HORRIBLE for brushes. My favorite foundation brush (pictured above, purchased here) was ORANGE. And gross. Even after its regular shampoo. So, I tried oil. That’s right, OLIVE OIL. I just rubbed a teaspoon amount into the head and WHOA. That makeup rolled off the brush. My hands were covered in sloughs of old makeup. It took tons of water (and more shampoo) to get all that stuff off my hands and brush. But, when it was done, my brush looked new. New. And soft, because the EVOO made it beautiful and soft. After it dried overnight on the washcloth, it was as good as new. So, there you have it, folks! 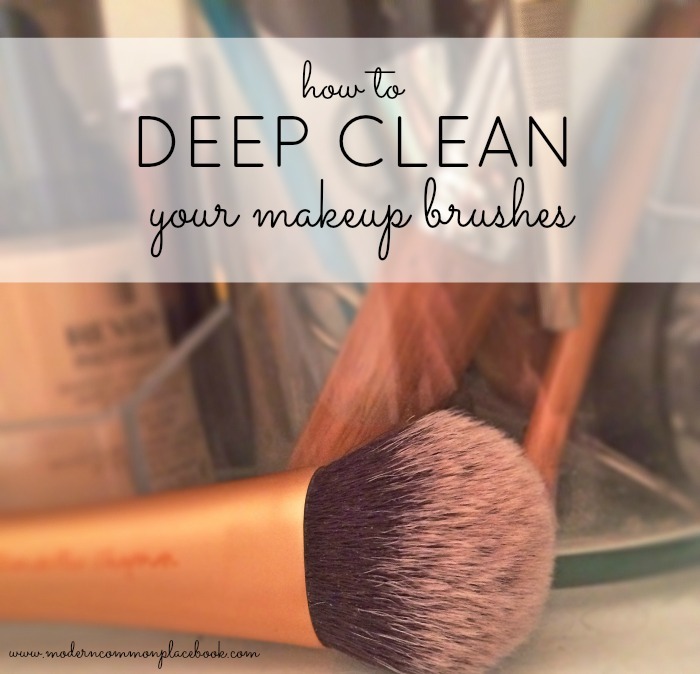 How to deep clean your makeup brushes! Now I get to introduce my awesome new blog friend! Erin from Just a Few of My Favorite Things has a super cute blog full of…her favorite things! (BTW, I LOVE her blog name:)). 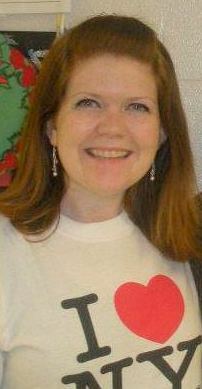 My blog is a lifestyle blog about my life as an elementary school teacher living in Virginia. I like to travel, do yoga, do arts and crafts, pin on Pinterest, and love makeup & fashion! I love writing about trips that I’ve gone on–it’s so fun to write recaps and remember all of the adventures I’ve been able to go on! It’s a great way to document pictures and places I’ve been. I love her travel post about her recent trip to France – and all that posts about that whole European adventure. Recently she posted a really yummy Banana Bread recipe – it looks so good! Read more about Erin here! Here are more ways to follow Erin!